St Ives has plenty on offer to keep holiday-makers busy. With gorgeous sandy beaches, amazing restaurants, a great choice of gift shops and a plethora of watersports and activities, we don’t think you’ll have a chance to get bored! But how about discovering some more interesting places that most tourists don’t know about? Read on to discover 6 quirky things to do in Cornwall in St Ives and the surrounding areas. Top of our list of quirky things to do in Cornwall is the lantern story ghost walk, which shows you the darker side of St Ives. 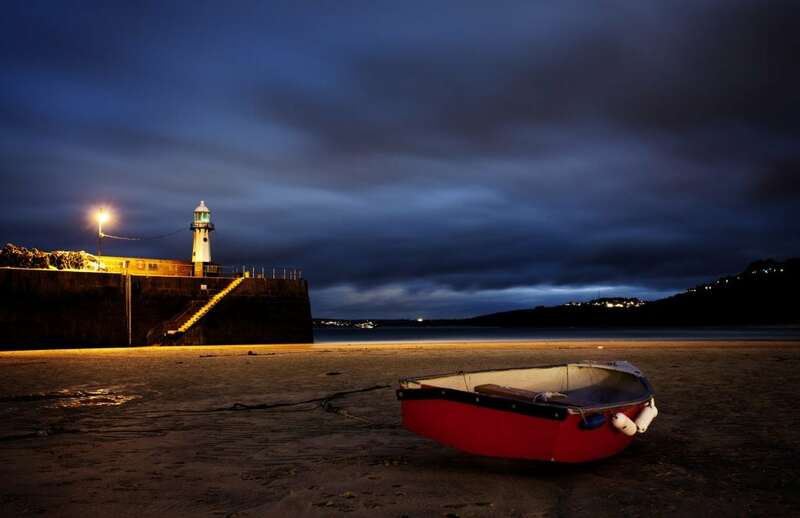 Go on a lantern-lit tour of the town after nightfall and explore the most haunted and eerie parts of St Ives. Discover parts of the town where spooky things have happened, tiptoe down dark and creepy alleyways and listen to ghostly tales in the graveyard. Shanty Baba is a brilliant storyteller who also offers other immersive walks, such as the pirate walk and the comedy walk. 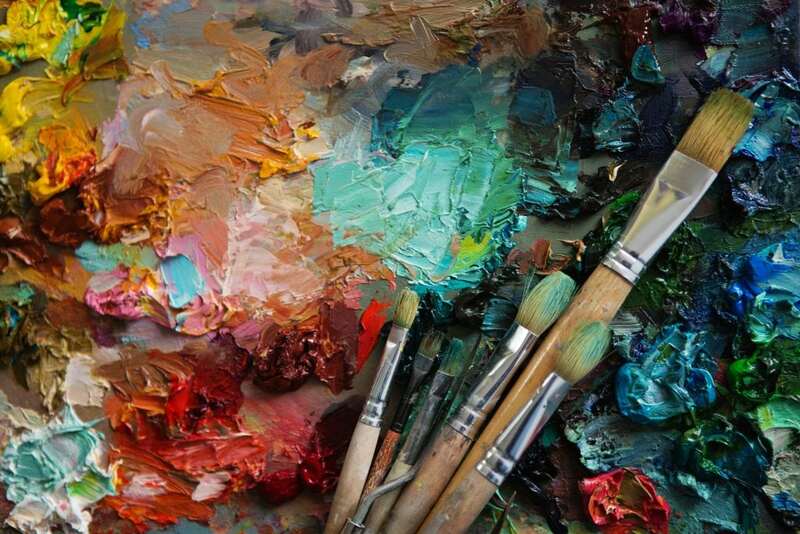 Unleash your inner artist with an art workshop or creative course at St Ives School of Painting. Develop new skills in an inspiring oceanside setting. Choose from a short workshop, a creative weekend retreat or an art holiday. St Ives is an artist’s paradise and there are many galleries to explore as well as the incredible landscape which you can draw inspiration from. The shorter workshops offered by St Ives School of Painting start from just £40 and all materials are provided, so you just need to turn up and be ready to have fun learning new skills! One of our favourite quirky things to do in Cornwall is to explore weird and wonderful histroric sites. 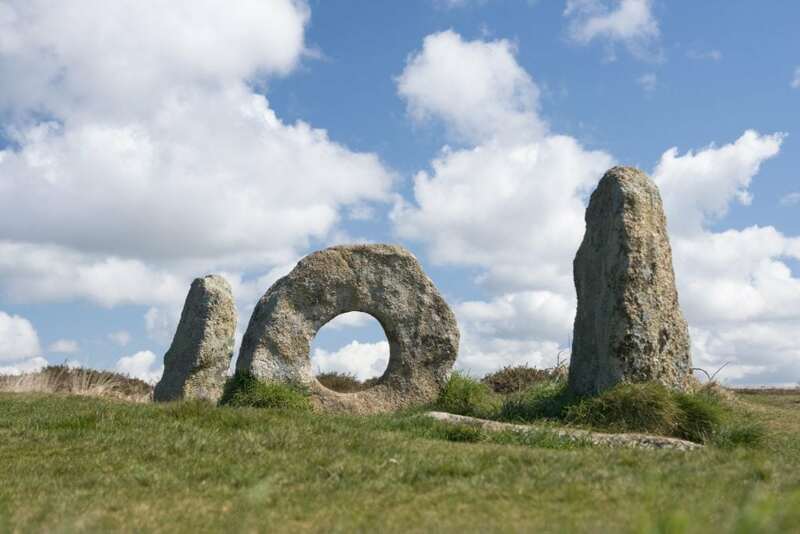 The ancient site of Mên-an-Tol (meaning ‘holed stone’ in Cornish) is one of the most interesting and bizarre historic sites in Cornwall. These unusual stones are thought to date back to the Bronze Age, making them 3,500 years old. Magical stories about these stones suggest that passing through the circular stone can cure illnesses and ensure fertility. In fact, it is thought that these stones were originally used for fertility rituals. Whether you believe the old wives’ tales or not, it’s certainly a unique and intriguing place to visit. If you’re looking for quirky things to do in Cornwall where you can also enjoy a delicious meal, this one’s for you. 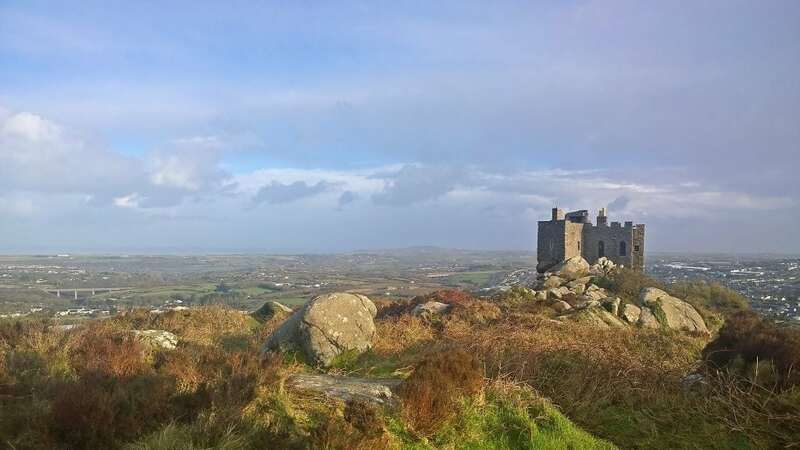 Arrive at Carnkie, the village that backs onto Carn Brea Castle and embark on an adventure you won’t forget. Carn Brea Castle is an impressive grade II listed granite stone building. it was extensively remodelled in the 18th century as a hunting lodge in the style of a castle for the Basset family. Now it’s a fantastic place to go for a unique dining experience. At over 700 feet it’s definitely a bit of a climb and it’s easy to get lost even when you see the signpost! When you find it, knock on the castle door and discover the amazing venue. Inside, there’s a small and intimate setting and you must book your table in advance. Enjoy tasty middle eastern food and music, which echoes within the granite walls. You’ll struggle to find anywhere else that offers fantastic food, beautiful music and a historic and atmospheric setting. The restaurant is largely lit by candlelight and the views from the castle are incredible – you can see for miles on a clear evening. The delicious food includes lots of vegetarian options and it’s a wonderful place to go for a family meal. The coastal walk from Botallack to Cape Cornwall is a two mile walk across breathtaking rugged landscape. The Tin Coast has a fascinating history. 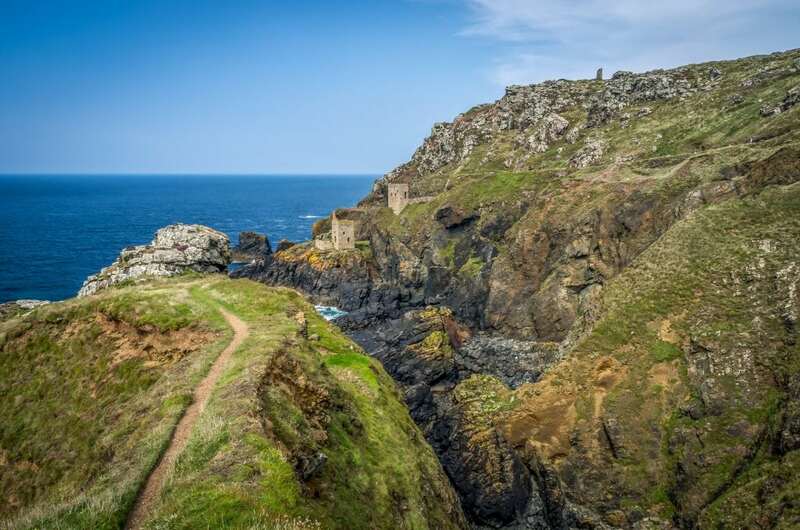 This part of the historic and wild Tin Coast is often used in Poldark walks. The coastline here was intensively mined in the past and the route will take you past engine houses, an Iron Age cliff castle and the Kenidjack Valley, once home to 50 working waterwheels. You will also pass Wheal Owles, which was used as Ross Poldark’s Wheal Leisure in the TV series. As you get closer to Cape Cornwall, you will see the striking chimney which was once part of the old Cape Cornwall Mine. Walk back to the Queens Arms pub in Botallack, a great place to stop for a drink or a bite to eat after your coastal walk. With over 300 beaches to choose from in Cornwall, you don’t need to stick to the crowded beaches in St Ives. 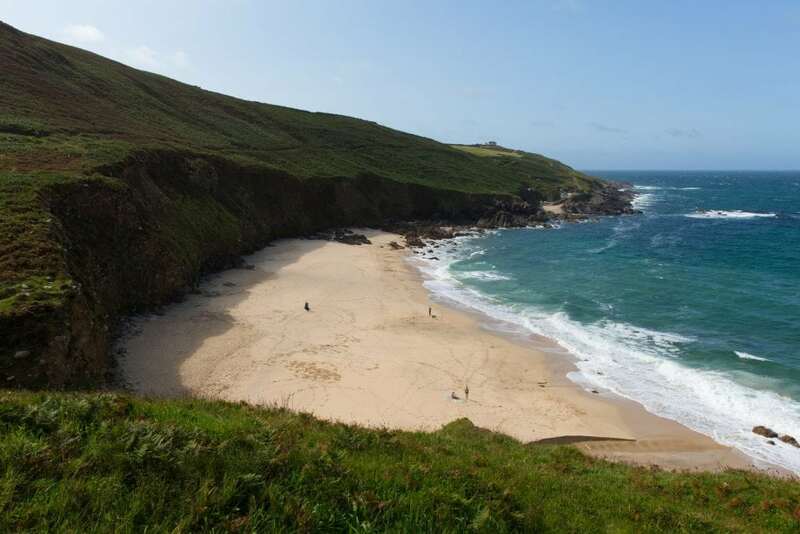 If you love an outdoor adventure and you don’t mind a beach or cove with no facilities, you have plenty of beautiful places to choose from in West Cornwall. You don’t need to travel too far to find a secret cove. Nestled in between St Just and St Ives, you’ll find Treen Cove, also known as Gurnard’s Head Beach because of its close proximity to the Gurnard’s Head pub. Explore interesting rocks and caves at Nanjizal. This hidden cove is usually virtually empty and it’s a great place to go for seal-spotting. Clamber across giant pebbles in the cove at Cot Valley, a fantastic place to sit and watch the sunset. Discover the unspoilt smuggler’s coves of Prussia Cove and Piskies Cove on a coastal walk from Perranunthnoe or Praa Sands. Find a secret paradise at Portheras Cove. If you’re prepared to step off the beaten track and go exploring, you’ll see some of the most stunning beaches that many people never visit. You may even have the whole beach to yourself! We hope you’ve enjoyed reading our list of some of the quirky things to do in Cornwall. St Ives is the perfect base to explore West Cornwall and discover different and fun things to do. Browse our St Ives cottages and begin planning your unique holiday in Cornwall.